What Is The Definition Of A Butterfly Jump In Figure Skating? 1. The butterfly jump is a spin/jump performed in figure skating where the skater does a flying spin that requires a two-foot takeoff. 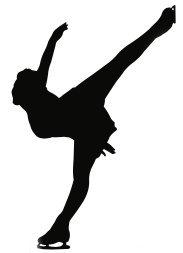 The skater’s body must be in a nearly horizontal position as the free leg makes a wide, powerful rotation swing upwards, in order to be higher than the upper part of the body. The legs nearly resemble a scissors motion. This is a very common spin/jump that is done in competitions. 1. Kwan rounds the ice, crossing over, gains some speed and immediately jumps into butterfly, before finishing off with a camel spin.